The ability to see deep within the brain before surgery has become a virtual reality (VR). An innovative technology known as Surgical Theater now available at NorthShore creates 3 dimensional reconstructions of patient-specific anatomy. 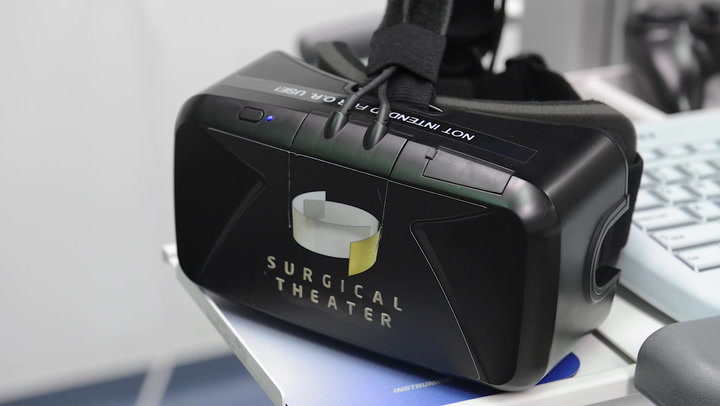 In this virtual as well as interactive environment, your surgeon can view your unique tumor or vascular abnormality to precisely map out and rehearse every step of your surgical procedure. This capability leads to faster, more personalized surgeries to optimize outcomes. At NorthShore, we have the distinction of being the first in the state and one of only a few select hospital systems in the country to use this revolutionary VR medical visualization platform. Initially designed for treating aneurysms in neurosurgery, we help pioneered its use for tumors and most recently, for abnormalities of the spine. The Surgical Theater takes conventional 2 dimensional patient scans such as CT and MRI and turns them into 3D representations of your specific condition. Before and during surgery, our specialists have the ability to manipulate the images and view tumors and vascular abnormalities from multiple angles. This sophisticated technology also gives you the opportunity to visualize and better understand the anatomic considerations involved in your brain surgery well before you enter the operating room. With Surgical Theater, you and your family can be fully informed in your decision making about the best course of action in your care. Dr. Shakeel A. Chowdhry explains how Surgical Theater takes conventional patient scans and turns them into 3D representations of your specific condition.